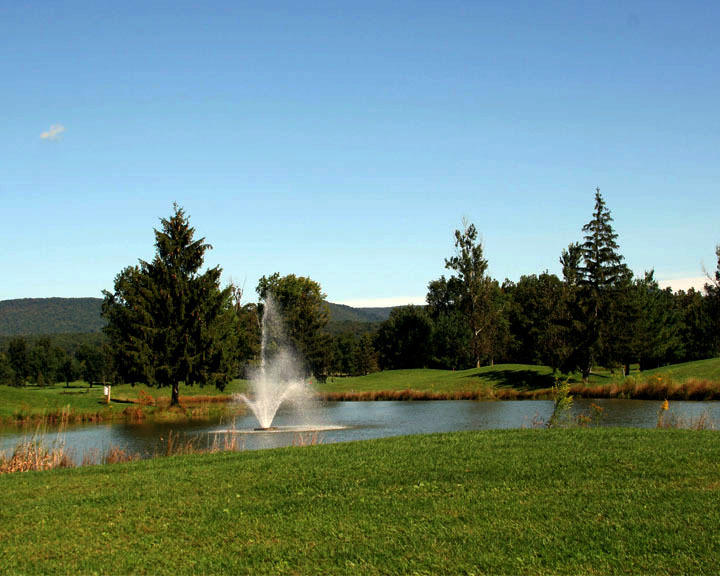 Lost Creek Golf Course is located in beautiful central Pennsylvania and opened in 1965. The course is moderate in length and challenging in design. The course has a wonderful variety of holes that contain large, fast, undulating, bent grass greens and terrain changes that offer beautiful views. The par of 71 golf course is guarded by 48 bunkers and of course Lost Creek which meanders through the property and comes into play on a third of the holes. Each hole has 4 sets of tee markers, which makes the layout playable for golfers of all abilities. This allows players to enjoy a great golfing experience with an exceptional pace of play. With unwavering attention to detail, every amenity is tended to and every round memorable. Our golf car fleet is nearly 65 strong and is a combination of gas and electric power vehicles. Lost Creek is a walking friendly facility. A change from 2008, golfers are now allowed to walk on weekends before 1:00 and only pay a green fee. Prices are normally $12.00 for 9 holes, and $20.00 for 18 holes during the week, and $15.00 for nine holes, and $25.00 for 18 holes on weekends and holidays before 12:00pm. Golf car rentals Member is $8.00 for 9 holes, and $13.00 for 18 holes and Guest is $10.00 for 9 holes and $17.00 for 18 holes. All rates are per player. We have a weekday Senior 55+ rate of $23.00 per player. Our golf shop offers a selection of the finest golf equipment, clothing and accessories from the top brands in the business. If you’re in need of new equipment, golf apparel or a special gift for the golfer in your life, our professional staff is eager to help. If you are unable to find an item in the golf shop, we will be happy to place a special order for you. Gift certificates are always available. We offer driving range with natural and artificial tees and a putting green for players to properly warm up for their rounds. Our practice facility will allow you to fine tune your skills, take a lesson from a PGA professional, warm up before a round or just enjoy some time with the family. The Springhouse offers casual dining for public patrons and golfers. Golfers can grab a quick bite to eat or drink at the turn or sit down and relax before and after their rounds. The restaurant offers a casual family friendly atmosphere for a meal out. Need to host a meeting or party, ask about our banquet room. We will organize a function to your needs. Men's and women's locker rooms are also available for players convenience and comfort. 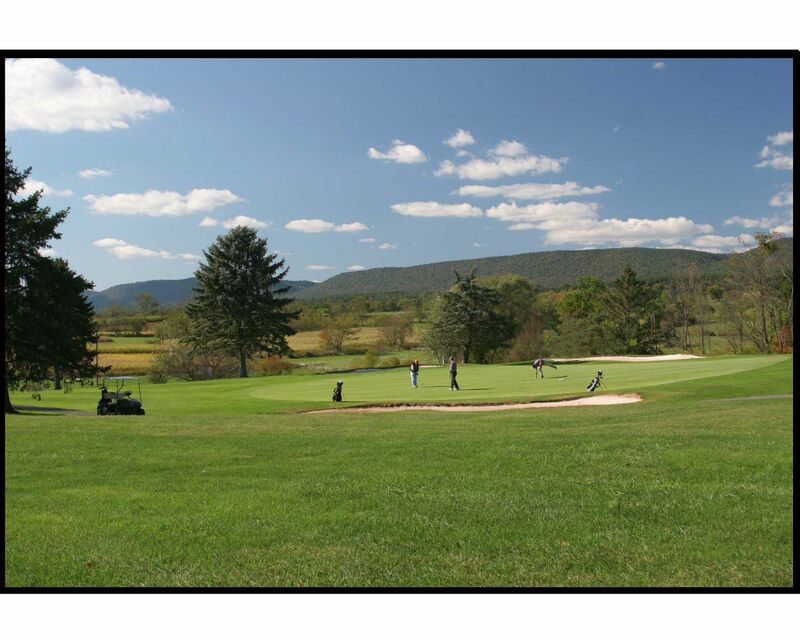 We offer numerous golf tournaments and leagues for our members, guests and corporate outings. Whether you are planning a small intimate golf outing or a large charity event, let our PGA professional staff assist you in planning a memorable day. Our 'Standard Outing Package' includes green fees, cart fees, course setup, course contest setups, customized event rules, scorecards, cart signage, scoring and food. Prizes and gift certificates are available from our fully stocked golf shop. Lost Creek Golf Club is dedicated to offering a friendly and enjoyable golfing experience to our members, guest and daily fee golfers. Our goal is to increase the membership and welcome guest through reasonable prices. Our staff will provide first class customer service and will continue to improve our systems, products and overall facility image to exceed customer expectations and achieve financial goals.